Asheville North Carolina has many luxury home gated communities to choose from here in the Asheville area. Many of the luxury home gated communities are also golf course communities and offer many amenities to their home owners. Contact Green Mountain Realty today or call us at (828)-215-9064 for land, real estate or homes that are located in some of Asheville's finest gated developments. Live the Asheville dream in gated Poplar Ridge close to all south end amenities and in a fine school district. If your dream includes a covered porch by a rushing stream, a big flat yard in a leafy glade, and a home with vaulted open spaces and a 4 car garage look no further. An in law apartment will serve extended family or guests with equal aplomb. A main floor master with an office and lovely hardwood floors enhance your lifestyle. The kitchen features a hearth area and a formal dining room will serve to gather friends for a fine meal. This is the home you deserve. I have a question about the property at 116 Windover Drive Asheville NC 28803 (#3437450). I would like to schedule a visit for the property at 116 Windover Drive Asheville NC 28803 (#3437450). Luxury Craftsman by Matthews Custom Built Homes proposed in Town Mountain Preserve, North Asheville's premier gated community close to shopping, restaurants, golf, Beaver Lake and just 2.5 miles from vibrant downtown Asheville. The great room features a vaulted tongue and groove ceiling as well as a soaring stacked-stone fireplace with built-ins. French doors open to your large covered screened porch with a separate grilling deck. A chef's kitchen, impressive owner's suite, 2 additional bedrooms and a study comprise the main level. A bright and airy den with deck and 2 BR/1BA with generous storage comprise the lower level. I have a question about the property at 91 Longspur Lane Asheville NC 28804 (#3492211). I would like to schedule a visit for the property at 91 Longspur Lane Asheville NC 28804 (#3492211). Nestled on just over 1 acre in one of Asheville's premier gated communities, this timeless Arts & Crafts residence looks out to the surrounding mountains. Presided over by its native stone fireplace, the two-story great room encompasses a living room large enough for grand entertaining, a kitchen befitting of this mountain home with granite counters, and a dining area with adjacent sunroom. The spacious master suite resides on the main level, complete with dual vanities and separate shower and soaking tub. In addition to bedrooms, the upper level is privy to a large media/home theater. The lower level is comprised of a large family room with stone fireplace, an exercise room, and office. The outdoor area of this home is truly inspiring with its in-ground pool and hot tub surrounded by stone patio as well as its many decks which are ideal for taking advantage of Asheville's seasonal weather. I have a question about the property at 141 Windover Drive Asheville NC 28803 (#3413378). I would like to schedule a visit for the property at 141 Windover Drive Asheville NC 28803 (#3413378). Stunning new construction farmhouse design by Osada Construction in one of Asheville's most desirable gated communities, Sovereign Oaks. This bright and open floorplan features the best in designer finishes. The chef's kitchen showcases a large island, Thermador Appliance Package and quartz countertops. A spacious (19x16) master suite on the main level features a vaulted ceiling, large walk-in-closet, double vanities, and a walk-in tile shower. Enjoy the best in outdoor living with a covered front porch, open-air back deck, and large screened porch with an outdoor stone fireplace. The lower level features two bedrooms, a bathroom, and a large rec room highlighted by a stone fireplace and wet bar. Community amenities include miles of hiking trails, community gardens, community green space, fiber optic technology, and backyard farming culture. This homesite features several stunning oak trees with a private, wooded buffer on the back of the property. I have a question about the property at 31 Majestic Oak Circle Asheville NC 28805 (#3494312). I would like to schedule a visit for the property at 31 Majestic Oak Circle Asheville NC 28805 (#3494312). This majestic mountain home is situated so perfectly within the beautiful Willows gated community! Convenient to all Asheville has to offer, and a short hop over to Lake Lure/Chimney Rock area. Easy access to Highway 74 and interstates. Spectacular, long range views can be found from nearly anywhere in the home and can certainly be enjoyed by the fire on the screened porch. Immense attention to detail has been paid to every part of this well-kept home. Features include SubZero fridge, Thermador appliances, doorbell/video security system, whole house intercom, stunning staircase behind stone fireplace, brand new septic tanks (two on property), and so much more. A bonus room and sitting room downstairs can serve as an in-law suite with its own private entrance! Master on main with master size bedroom located on lower level, too. Three custom ordered bar stools included at wet bar in kitchen. Home was inspected prior to listing, and sellers left no stone unturned. Home warranty included! I have a question about the property at 86 Willow Farm Road Fairview NC 28730 (#3468042). I would like to schedule a visit for the property at 86 Willow Farm Road Fairview NC 28730 (#3468042). Rustic elegance meets traditional craftsman style in this proposed new construction residence by Timberline Custom Homes. Nestled on a large home site with enviable long-range mountain views inside Poplar Ridge - one of Asheville's premier, gated communities. Located in South Asheville, Poplar Ridge residents are privy to the convenience of nearby shopping, dining, entertainment, and the Asheville Regional Airport as well as both historic downtown Asheville and Hendersonville. Standard builder features include high-end finishes and numerous architectural details. Elevator shown on floor plan not included in list price but can be added for an additional cost. Current floor plan shows unfinished square footage over garage, but can be finished for an additional cost. Price based on 3200sf due to development minimum square footage requirements. Prospective plan - no construction started, buyer can customize to suit. NOTE: Buyer can use any house plan that meets community guidelines. I have a question about the property at 28 Windcliff Drive Asheville NC 28803 (#3438597). I would like to schedule a visit for the property at 28 Windcliff Drive Asheville NC 28803 (#3438597). Located in The Cliffs at Walnut Cove, a gated golf community, this town home is situated in a very private setting at the end of a cul-de-sac. Long mountain views separate this property from all the others. Designed to bring the outdoors inside and meticulously maintained. This town home has to be seen to appreciate its many features. I have a question about the property at 16 Windelsham Way Arden NC 28704 (#3360058). I would like to schedule a visit for the property at 16 Windelsham Way Arden NC 28704 (#3360058). Elegant luxury awaits you in this spacious contemporary home w/ attention to detail on every level. The well designed open plan on the main level living area includes a 2-story great room w/ custom stone fireplace & exposed beams which opens to a chef's kitchen & cozy keeping room. The main level master suite with its tray ceiling & gas log fireplace, along w/ the en suite bathroom jetted spa tub & oversized walk-in shower, make a perfect daily retreat. The upper level boasts 3 additional bedrooms / baths and bonus room which is currently used as an additional bedroom. The finished lower level offers tall ceilings, second living quarters w/ living area, kitchenette, bedroom, study/workout room, bathroom & private garage. 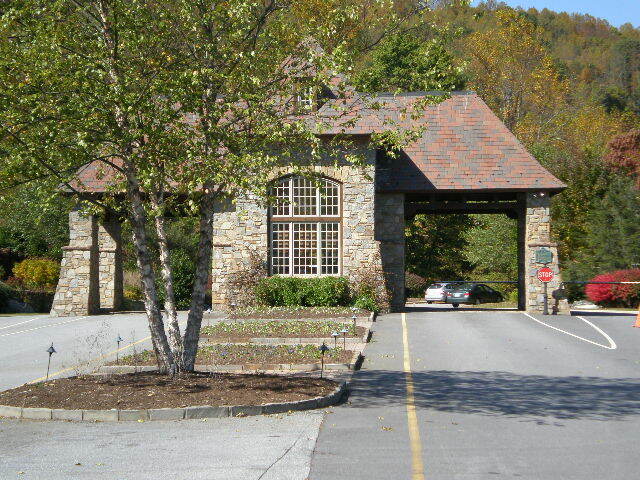 Conveniently located in Poplar Ridge, a gated, well-established community in South Asheville. Spacious and luxurious, with mountain and forest views, and quiet privacy, this home is an elegant oasis you'll want to come home to everyday! I have a question about the property at 23 Hearthstone Drive Asheville NC 28803 (#3450685). I would like to schedule a visit for the property at 23 Hearthstone Drive Asheville NC 28803 (#3450685). Come see this wonderful "right-sized" farmhouse home on a Hamlet lot very close to Longmeadow Park. Bright and sunny with a wood stove and stone hearth to warm you on chilly nights. The master suite has a gorgeous bath plus an office area just outside. Exceptional tile work, sealed crawl space, multi-zoned HVAC with a gas furnace back-up. Huge bonus room on the upper level. Enjoy all the Ramble amenities - saline pool, miles of walking trails, tennis, pickle ball and bocce ball, the Living Well Center, gated community with 24 hour access patrol. No City taxes inside the Ramble gates. I have a question about the property at 76 Ramble Way Asheville NC 28803 (#3479121). I would like to schedule a visit for the property at 76 Ramble Way Asheville NC 28803 (#3479121). One of a kind 6.5 acre mountain top retreat with year round panoramic views of the Blue Ridge & Smoky Mountains, all located in Ventana, Asheville's premier gated community! The buyer of this property will enjoy mountain top living at over 3,000 feet elevation with total privacy & the peace of nature, but with easy access to the resources of town (only 3 min to Merrimon Ave. and 8 min to downtown Asheville! ), and the comfort of knowing that there are neighbors nearby if you need to borrow some sugar. This large estate property offers a level mountain top site for the primary home & additional sites for guest houses. Each building site has a long range western mountain view. Property comes with underground utilities including electric, natural gas and city water and city sewer (so you don't have to worry about drilling a well or installing a septic system). High speed internet service is available and Ventana offers low HOA fees. Contact listing agent for more information! I have a question about the property at 76 Villa Nova Drive Asheville NC 28804 (#3436020). I would like to schedule a visit for the property at 76 Villa Nova Drive Asheville NC 28804 (#3436020). Magnificent 6th floor Luxury condo in downtown Asheville! Floor to ceiling 260 deg. views from Town Mtn, Downtown and all the way around to Mt. Pisgah. Rumor has it 60 North Market is THE secret gem tucked into the quaintest, quietest corner of downtown with super easy walking and driving access to all things Good! I think you just might agree! 60 North Market is the wonderfully welcoming community to Live, Play, Dine, Exercise, and Explore you've been seeking. Photos can only show so much. Come "See" for yourself! Park your cars in the two side-by-side parking spaces in the building's private and secure gated garage! I have a question about the property at 60 N Market Street Asheville NC 28801 (#3448862). I would like to schedule a visit for the property at 60 N Market Street Asheville NC 28801 (#3448862). Proposed cottage designed by Christopher Phelps and to be built by Tyner Construction in The Ramble Biltmore Forest, a gated community on pristine property that was formerly part of the Biltmore Estate®. Near the Racquet Club gated entrance for easy shopping, dining and entertainment. Community amenities include miles of hiking trails, parks, Living Well Center complete with outdoor heated saline swimming pool, tennis, bocci and pickleball courts, fitness center, and more. Home site only also available (MLS#3398000). Taxes TBD. I have a question about the property at 33 Croton Court Asheville NC 28803 (#3285343). I would like to schedule a visit for the property at 33 Croton Court Asheville NC 28803 (#3285343). Prestigious gated Scott's Ridge in Biltmore Lake. Create traditions in this stunning custom 5 bedroom 4.5 bath home radiant with quiet quality and tailored for stylish living & easy entertaining. A new designer kitchen with every convenience, including new Thermador appliances. Main level master suite with updated bath featuring heated floors and dual shower heads. With two more guest rooms, full bath, dining room, kitchen dining, great room, keeping area, and laundry room, your main level is complete. Head on down to the lower level complete with another full kitchen, family room, game area, theater, two more bedrooms with 2.5 baths plus a wine cellar! Looking for more space, then head outside to the ample outdoor living areas including covered porch, open deck, stone patio with two fire-pits, outdoor bar, and fully fenced back yard all nestled on a park-like acre with trail access. Just minutes to all Lake amenities including trails, lake, clubhouse, tennis and basketball courts! I have a question about the property at 660 Wickhams Fancy Drive Biltmore Lake NC 28715 (#3467003). I would like to schedule a visit for the property at 660 Wickhams Fancy Drive Biltmore Lake NC 28715 (#3467003). This beautiful custom built home situated on 2.02 Acres in the Gated private community of Poplar Ridge. Just minutes to South Asheville and all the amenities needed. This well-maintained home offers 5,108 SF and 4 bedrooms, 4 full baths for the active family. Expansive stonework, outdoor living space that offers privacy, extensive landscape, gravel walking paths and fresh paint on the exterior. The interior features a stone fireplace with hand rubbed copper face design in the main living area, smart wired house, sound system on main floor and roughed in central vac. Additional features; dimmer switches, water filter system in kitchen and instant hot water recirculation system on main floor. Possible year round Mountain views by doing tree pruning. A must see! I have a question about the property at 29 Hearthstone Drive Asheville NC 28803 (#3442965). I would like to schedule a visit for the property at 29 Hearthstone Drive Asheville NC 28803 (#3442965). Designed by Christopher Phelps and currently under construction by Preish Construction in The Ramble Biltmore Forest, a gated community on pristine property that was formerly part of the Biltmore Estate®. The Ramble offers home sites in a community that focuses on high levels of architectural detail to those who appreciate not only fine homes, but a lovely home setting in a natural wooded environment. Community amenities include miles of hiking trails, parks, Living Well Center complete with outdoor heated saline swimming pool, tennis, bocci and pickleball courts, fitness center, and more. Taxes TBD. I have a question about the property at 240 Racquet Club Road Asheville NC 28803 (#3258573). I would like to schedule a visit for the property at 240 Racquet Club Road Asheville NC 28803 (#3258573). Step into this gorgeous Poplar Ridge Arts and Crafts Home and be welcomed with views of the surrounding mountains! Boasting 5,088 sq. ft. of fine living space that features 4 bedrooms, 4 1/2 baths, a Chef's kitchen, 3 levels, and expansive decks. Asheville living at its best in a convenient location just minutes to dining, Biltmore, shopping, the Blue Ridge Parkway, private and public schools. The Custom home will quickly be your perfect retreat to relax and enjoy the beauty of North Carolina Mountains. This well-maintained home features fine and distinctive wood finishes, an open floor plan, vaulted ceilings, large windows, and granite counter-tops in the kitchen and all bathrooms. Spectacular gated neighborhood with privacy and natural beauty. A distinctive and welcoming place to build lasting memories! Welcome to this truly impressive and luxurious home! I have a question about the property at 9 Greenmont Drive Asheville NC 28803 (#3386103). I would like to schedule a visit for the property at 9 Greenmont Drive Asheville NC 28803 (#3386103). On top of the world and only minutes from downtown Asheville. This one of kind acreage offers fabulous year round views and privacy for your mountain home. Gated community. Community well system. Sellers are licensed NC brokers. I have a question about the property at 9999 Ebby Ridge Drive Fairview NC 28704 (#3477108). I would like to schedule a visit for the property at 9999 Ebby Ridge Drive Fairview NC 28704 (#3477108). I have a question about the property at 9999 Ebby Ridge Drive Fairview NC 28704 (#3477097). I would like to schedule a visit for the property at 9999 Ebby Ridge Drive Fairview NC 28704 (#3477097). Elegant mountain living blends w/ gated privacy in The Meadow enclave of The Cliffs at Walnut Cove. Expansive, year-round mountain views from the covered back patio overlooking green space and a peaceful water feature. Chef's kitchen w/ Wolf appliances is open to the living areas, dual fireplaces and a whole home audio system. The lower level bonus room has been completed for additional possibilities - media room, sleeping space, office, studio. Two-car attached garage. Highest quality construction throughout. Furnishings included. Come experience The Cliffs at Walnut Cove (and access to the six other Cliffs premier locations). I have a question about the property at 6 Windelsham Way Arden NC 28704 (#3434002). I would like to schedule a visit for the property at 6 Windelsham Way Arden NC 28704 (#3434002). I have a question about the property at 46 Running Ridge Road Asheville NC 28804 (#3367689). I would like to schedule a visit for the property at 46 Running Ridge Road Asheville NC 28804 (#3367689). Affordable luxury in highly desirable The Ramble Biltmore Forest, a gated community on pristine property that was formerly part of the Biltmore Estate®. To be built by PebbleDash Builders, this custom-designed English Arts and Crafts style home is in the newest cottage section of the community. Conveniently located at the southernmost portion of The Ramble, making it a short walk to Biltmore Park whether to shop, grab a bite, or catch a movie. The open floor plan with well-appointed finishes is perfect for those looking to have all the conveniences of The Ramble without the trappings of larger home. The Ramble is a community that focuses on high levels of architectural detail for those who appreciate fine homes and lovely settings in a natural wooded environment. Community amenities include miles of hiking trails, parks, Living Well Center complete with outdoor heated saline swimming pool, tennis, bocci and pickleball courts, fitness center, and more. Taxes TBD. I have a question about the property at 108 Upperfell Court Asheville NC 28803 (#3407830). I would like to schedule a visit for the property at 108 Upperfell Court Asheville NC 28803 (#3407830). I have a question about the property at 41 Ben Lippen School Road Asheville NC 28806 (#3471397). I would like to schedule a visit for the property at 41 Ben Lippen School Road Asheville NC 28806 (#3471397). I have a question about the property at 103 Willow Farm Road Fairview NC 28730 (#3483714). I would like to schedule a visit for the property at 103 Willow Farm Road Fairview NC 28730 (#3483714). Incomparable serenity greets you as you walk through the front door and into this custom home residing in Poplar Ridge - one of Asheville's premier gated communities. The spacious and open floor plan is presided over by expansive windows which allow in the natural beauty of the outdoors. This exquisitely designed residence features a large great room with exposed beams and stone fireplace that gives way to the chef's kitchen with over-sized center island and granite counters. The lower level, with its 12' ceilings, family room, dining area, and wet bar could easily be converted to a full second living quarters. The additional and ample unfinished square footage on the lower level has infinite possibilities including a home office, a media room/home theater, or an in-home fitness center. Located in the desirable TC Roberson school district, this inviting residence is convenient to shopping, dining, entertainment, and the airport. I have a question about the property at 471 Barrington Drive Asheville NC 28803 (#3422707). I would like to schedule a visit for the property at 471 Barrington Drive Asheville NC 28803 (#3422707).